I recently used Tracy’s Bonding Basics 2010 Activity (link) with my 6th graders as a guided lesson. 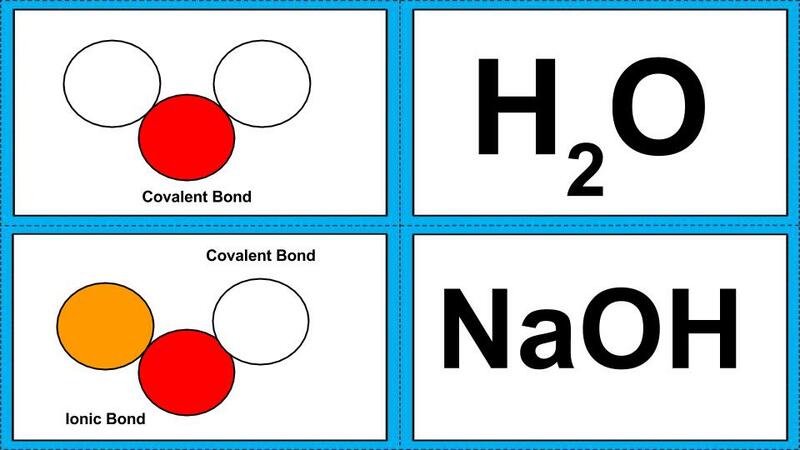 We spent one day on Ionic Bonds, and the second day on Covalent Bonds. Students worked in pairs and practiced making Lewis Structures, finding Oxidation numbers, identifying elements as either Metals or Non-Metals, and determining what each element would do when bonding with another element. Instead of candy, I used pennies as electrons along with the element cut outs she provides on her website. This was a great hands-on activity to have students ‘see’ how the atoms bond together, and after a few slides, they were able to quickly determine how each element would bond. 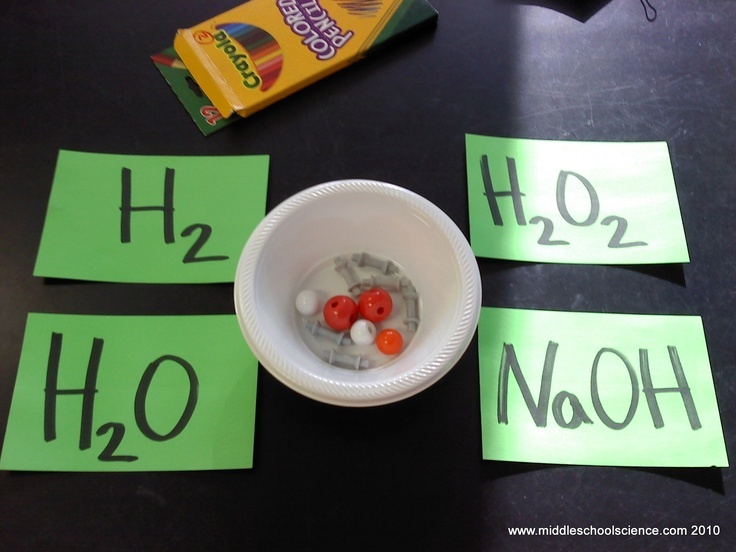 In this activity from Gail Sanders, a member of the MidLevel Science Teachers group in Northern Illinois, students are given a tag (or necklace) to wear with the symbol of an ion and its oxidation number. Positive ions are green and the negative ions are blue. The students are instructed to “bond” with other ions and keep a record of their bonds. Students had to work with their bonding partner to agree on and write a formula and name for the compound they formed. Once that was done, they could break the bond and find a different ion with which to bond. After 5 bonds, students switch tags with another student and start bonding again. I have a modified version of the student handout posted here (link pdf file). If you have a smaller group of students, I would suggest changing cards after 3 bonds. When a student has successfully made 3 bonds, they come up to my desk, I quickly check their bonds for correctness, and then give them an oppositely charged ion. For example, if a student is Mg +2, they would then receive Cl -1 and make 3 bonds with that new ion. The version in the video posted above is a more challenging version of the activity, I would suggest 8th grade or higher. Bond with James – free lesson plan on TPT (link). You can also combine both set of cards. I don’t use the yarn for this activity, the students carry the cards around with them and it is easier for them to place the cards on the table when they pair up so they can write down the formula and compound name more easily instead of looking down and upside down at their cards. If you have used this activity, would love to hear how it worked with your students and if you have any other ideas to add to this lesson.